The New Year’s Eve Celebration has undergone many changes throughout the years. 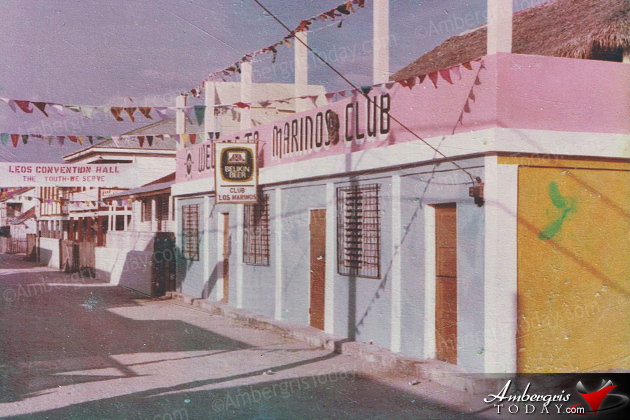 I will take you back to the 1960’s when Marino’s Club Roof Top was the Number 1 place to celebrate. Of course the dances have been the most featured attractions for any New Year’s party as they are today. Twenty five years ago the dance at Marino’s Club was for the teenagers or all single people. Daddy’s Club was the venue for the “Baile de casados’ or ‘Baile de Viejos’ only for married couples and you had to go with your spouse. The dances commenced at 9 p.m. on the dot with any accordion band that was active at the time. Popular accordionists were Wil Alamilla, Aldo Marin, and Ovidio Guerrero. Guitars and percussions were in abundance so that was no problem. The music and dancing went on until 11:30 p.m at which time the church bell was rung to call everyone to mass. Oh, by the way I forgot to mention that everyone attended the dance in regular or everyday clothing to signal the año viejo or the old year that had transpired. Therefore as soon as the first bell call was rung, the music stopped at the dance hall and everyone went home to put on their new party clothes to signal the New Year. At midnight the mass commenced with Reverend Robert Raszkowski extending his well wishes on behalf of the bishop and himself and all the religious to the San Pedro community. When the mass was over everyone wished one another a happy and prosperous New Year, and then all headed to their respective dance halls. The dance of the teenagers usually went on until 3 a.m., whereas the married couples’ traditionally went through until 8 a.m., that is for half of the original crowd because the other half was too dizzy to even stand up. Coffee, hot chocolate and biscuits were served to the ladies at the first rays of sunlight. By the way, in the 1960’s the dance of the married couples was absolutely for them and no single person was welcome nor accepted. I don’t recall of any divorced person, but he or she could not attend as a single person. The dance at Marino’s Roof Top was particularly popular because it was an open hall and the cold weather allowed for more hugging and cuddling. It was also a popular dance hall because the mothers and aunties who chaperoned their young girls to any dance could not make it to the rooftop unless they paid the entrance fee, so the young men had a ball at the famous Marino’s Roof Top. A HAPPY AND PROSPEROUS NEW YEAR AND 2013 TO EVERYONE and happy sailing for the next 5,125 years or the new Baktun in the Maya Calendar.